As one of the most famous magicians of our time, Criss Angel knows how to put on a show. For seven years his show, BeLIEve, was such a popular experience that it became the best-selling magic production in Las Vegas. His new show, Mindfreak Live!, lives up to the reputation set forth by its predecessor. Based on his popular A&E television series, MINDFREAK, Angel's Mindfreak Live! is just as jaw-dropping and revolutionary as the show that inspired it. 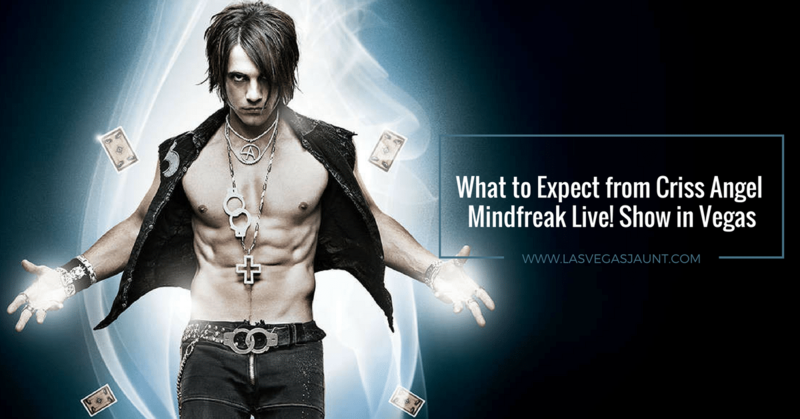 Whether you're a Vegas veteran or are planning your first trip to the strip, Mindfreak Live! is one show not to be missed. Though the experience is meant to surprise you, read on to learn a little bit about what you can expect from Mindfreak Live! Often hailed as the world's greatest illusionist, Criss Angel knows how to make his audience question reality. In the past, he's been known to walk on water, read people's minds and even walk through metal doors. Seeing his illusions can make you doubt your own mind, and Mindfreak Live! lives up to its name by producing such moments. The 90-minute show is full of groundbreaking and original illusions that Angel has never performed before. Fans of the MINDFREAK television show might think they know what to expect, but Mindfreak Live! gives its audiences something they won't see anywhere else. Angel's fans, called The Loyals, know to expect the unexpected when viewing a Criss Angel show. Mindfreak Live! was not only created by Angel, it is directed by him as well. Old and new fans alike are getting a true Criss Angel experience. The show sees Angel performing the types of tricks and illusions he became famous for, as well as new work that proves how far he has come. This mixture of styles leaves audience members riveted. The temptation is to try to figure out how it all works, but long-time Angel fans know the best way to experience his work is without overthinking it. Accept that you'll never know the secrets behind the magic, and your mind will be freaked. Just as it should be. Criss Angel is the undisputed star of Mindfreak Live! But the cast he has assembled to round out the show is equally impressive. Along with Angel, several of the most talented specialty artists working in the magic industry take the stage during Mindfreak Live! Acrobatics and gymnastics mix with comedy and old-school magic to create a diverse experience. With such a full cast, there is never a dull moment in the show and there is sure to be something for everyone. While your entire group will love the experience, be prepared to disagree on which part was the best. So much is on offer in the hour and a half, that everyone is likely to have a different favorite moment. You and your group will be talking about it and reliving it for days to come. Criss Angel can be an illusive man, which is fitting given his profession. Mindfreak Live! provides its audience with a unique opportunity to learn more about the man behind the magician. The pre-show video shouldn't be missed, as it gives the audience a look back at Angel's childhood. It follows him throughout the years as his interest in magic took hold, grew, and eventually made him the famous magician he is today. Angel's passions outside of magic are starting to become better known and better documented. The film that appears as part of the Mindfreak Live! pre-show is a great way to experience more of who Angel is and what he's like when he's not performing. Mindfreak Live! would be a great show anywhere, but the backdrop of Las Vegas as another element of magic. The Luxor Resort & Casino, where Mindfreak Live! finds its home and where Angel has been performing since 2008, is located right on the Las Vegas strip. Even if you're not a guest of the hotel, seeing Angel's performance is the perfect opportunity to explore all that the location has to offer. From great food and cocktails to gambling and making new friends, a trip to Luxor to see Mindfreak Live! is an essential part of an unforgettable evening. Seeing a show in Las Vegas is an experience not to be missed. When that show is Mindfreak Live! it's an experience you'll never forget. During its seven year run, more than 4 million people saw Criss Angel's previous show, BeLIEve. Mindfreak Live! is likely to draw the same kind of crowd from all over the country and throughout the world. Already guests who have seen it have been talking about the once in a lifetime experience as one that blew their minds. Throughout the show, don't be surprised if you find yourself exchanging "How did he do that?" looks with complete strangers. And don't be surprised if, after the show, you can't wait to recommend it to everyone you know. The nature of Mindfreak Live! is that it can't be easily described or explained. It is something that needs to be seen to be believed. Or, given the show's reality-bending illusions, to be disbelieved. 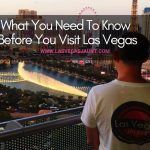 From the hotel to the restaurants to the nightlife, there's a lot that goes into planning a trip to Las Vegas. No matter what time of year you're going or what budget you're hoping to stick to, there's a great Las Vegas experience waiting for. Making Mindfreak Live! a part of your next Las Vegas trip is guaranteed to make it memorable for your entire group. Have you seen Mindfreak Live? Leave a comment to share what you thought about the show! For more information or tips on what to do while in Las Vegas, please contact us.